As part of Latin America Week 2018, we will be showing a free special screening of the award-winning documentary film Resistencia: The Fight for the Aguán Valley, with a Q&A session with Honduran land rights defenders Martín Fernández and Karina Flores. It is June 28th, 2009. The people of Honduras are preparing to vote in their country’s first-ever referendum. However, instead of waking up to ballot boxes they rise to find their streets full of soldiers. 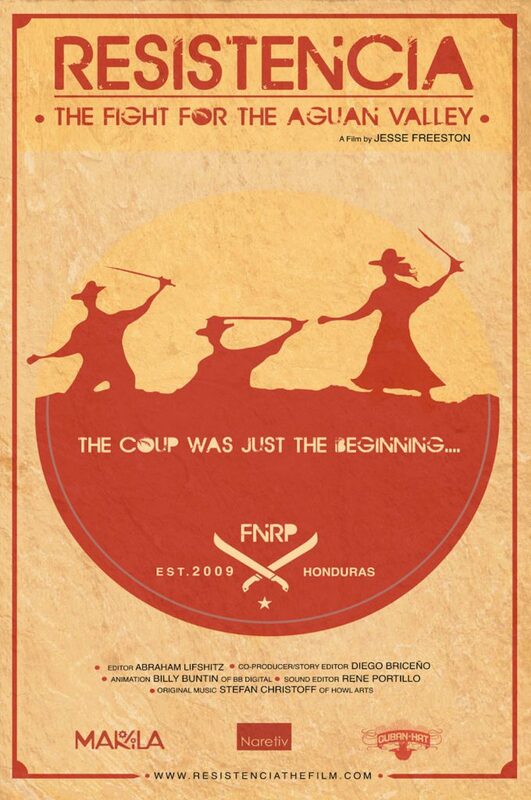 The first coup d’état in Central America in three decades. An unprecedented nationwide resistance movement is born, known simply as La Resistencia. Without question, the most daring arm of the movement is that of the farmers of the Aguan Valley. With the president that promised to help them get their land back overthrown, they decide to take control of their own destiny. In a matter of minutes they seize control over 10,000 acres of palm oil plantations belonging to the country’s most powerful landowner. Located on some of the most fertile land in all of Central America, the farmers announce that they have no plans of ever giving the plantations back. Beginning with the historic moment of the coup, ‘Resistencia: The Fight for the Aguan Valley’ follows three key members of the farmers’ resistance over four years as they attempt to implement participatory democracy in their new communities. All while trying to survive the violent reaction of the landlord and the coup regime. WE ARE HUMANS LIVING ON THE LAND.